14 Things Seniors Love About Deer Valley. Read on. Silver Lake Area at DV. Monday morning, 9 a.m. Deer Valley Resort, UT. Members of the Park City Mountain Sports Club are buckling their boots. Their goal? Be safe, have fun. 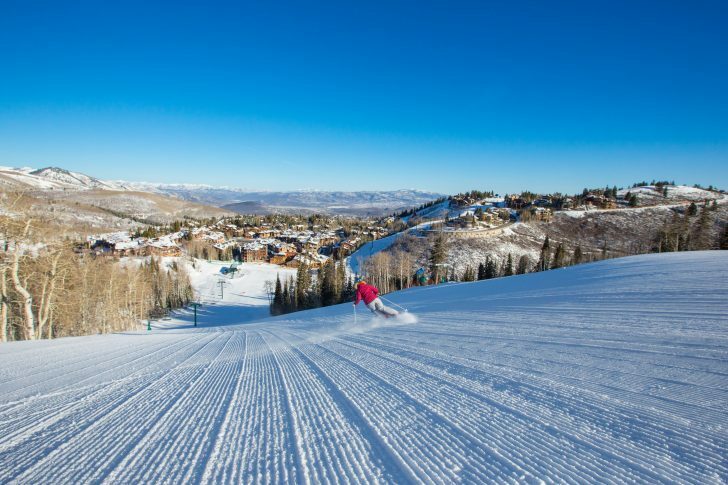 Typically, about 20-25 members, mostly retirees who scoff at Florida’s balmy temperatures, gather in groups of blue, double blue, or black to ski the smooth and the steep at this quintessential Utah resort tucked into the trees behind the town of Park City. They meet at 10 a.m. at the “beach” outside Silver Lake Lodge, ski two hours, then break for lunch at the Empire Canyon Grill, “best food on the mountain,” they say. Some ski after lunch, others head home. But no worries, next day is Tipsy and Taco Tuesday at Park City. Each day, they ski a different area, alternating between Deer Valley, Park City, and the Canyons, according to a standard schedule that includes an après ski party every Sunday. It’s only $25 to join. 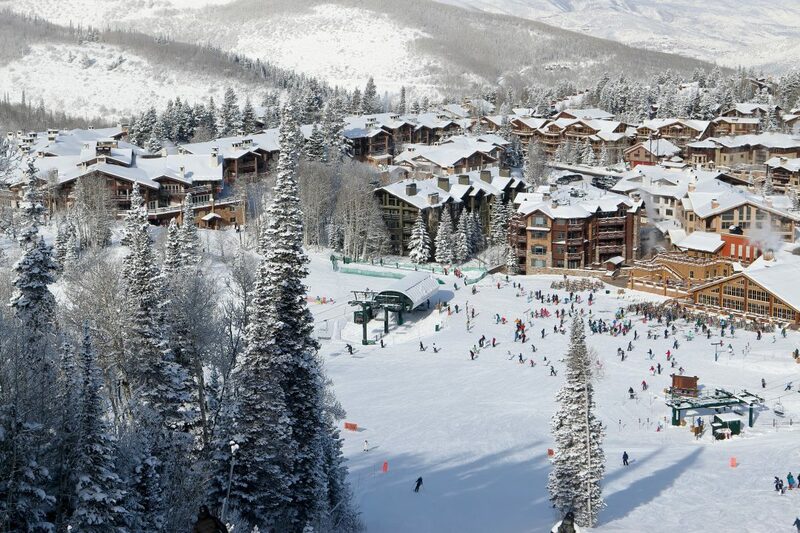 Most buy the Epic Pass that provides skiing to all Vail Resorts—which owns Park City. But some buy a season pass at Deer Valley for the relaxing pace. Deer Valley is known for its service to skiers and much of what it created for coddling those with deep parka pockets serves us seniors well. 1) Wide intermediate slopes groomed to perfection like a prized Appaloosa. Meanwhile, for your inner college-era zeitgeist, the area has some serious deep and steep in places such as the Mayflower and Lady Morgan Bowls. 2) Fresh tracks to yourself, since most skiers stick to the tamed slopes. A forester on staff keeps the glades clear for well-spaced tree skiing. 3) A lot of variety. Plus all six peaks have a beginner or intermediate run down so you can ski as a family with varying abilities. 4) No snowboarders allowed. (Ditto drones). 5) Attentive staff. With a one to seven ratio of helpers to customers, the area treats you like royalty. 6) At drop off, ski valets rush to take your skis off the car. 7) Hosts stand at trail map boards to offer suggestions on where to go. 8) Good food! The Natural Salad Buffet, grill items, carved roasts, deli sandwiches, paninis, soups, chilies, and chocolate chip cookies nearly as big as a Frisbee, plus the new Bald Mountain Pho at the Silver Lake Lodge. That’s just for starters. Where most eat to ski, here you ski to eat. 9) Short vertical drops—average 1200 feet so you don’t lose too much steam before hopping back on a fast moving lifts (12 high speed quads) for a well-deserved rest. 10) Free mountain host tours in the morning and afternoon to ski with others. 12) Lift ticket sales limited to 7,500 daily so short waiting lines, roomy trails and mountain restaurant seating. 13) Watch the grandkids learn to ski right outside the window of the Snow Park Lodge, while you sip a latte, maybe spiked with something. 14) Free overnight ski storage, so you don’t have to schlep your boards back and forth every day. Worried about skis getting stolen? You can drop them off for storage for any length of time.